For all types of business and leisure trips to San Antonio, there’s no better way to travel than with Bolt Jets, the premium private charter company. We pride ourselves on always going the extra mile to deliver excellence and with affordable private charter flights; we know we’re the leaders. We have access to over 1,200 private charters and helicopter hires, all of our jets are comfortable, luxurious and offer those little on-board extras designed to make flying a pleasurable experience. Our flights to San Antonio are accessible from anywhere in the world and with a dedicated concierge service available to all of our clients, there’s nothing we can’t help with. Our jets are used for corporate client meetings, shopping trips to San Antonio, bachelor parties and more. So, when travelling to or from San Antonio on business or leisure, the best possible way to do it is using Bolt Jets. The Bolt Jets Concierge Team is available to all of our clients and they’re just at the end of the telephone, 24 hours a day, 7 days a week, 365 days a year. It’s their job to ensure a fabulous flight experience and they can organize business and leisure trips including the finer detail. That’s the level of service Bolt Jets delivers. 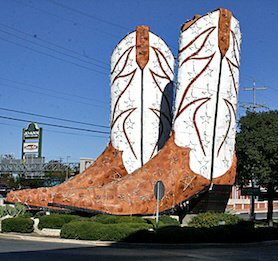 San Antonio in Texas is the 7th largest city in the USA and everything is super-sized. It’s also the second largest city in Texas by population, after Houston, so suffice to say there’s plenty to do in the area. 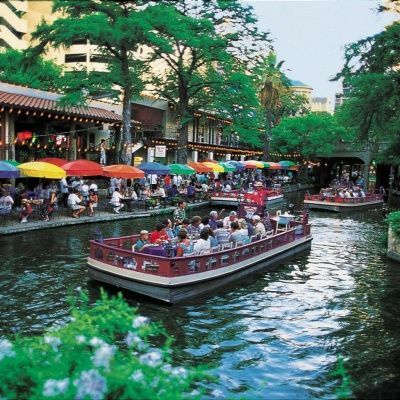 No visit to San Antonio is complete without the Riverwalk. In fact, many people visit San Antonio to experience this attraction. The river is a natural river and San Antonio was built around it. The Riverwalk is an amazing place to enjoy greenery while being able to admire San Antonio’s skyscraper buildings. It does get hot in the summer, so see this during the early morning or take a river taxi which gives a full commentary on-board. For the best local food, local produce and small, independent boutiques head down to The Pearl Brewery. At the weekend, there’s a farmer’s market full of fresh fruit, vegetables and other home-grown produce. It’s also the best place to drink great tasting freshly-brewed coffee. Culture-lovers can learn about Texas at The Alamo but it does get busy so arrive early to avoid the queues. 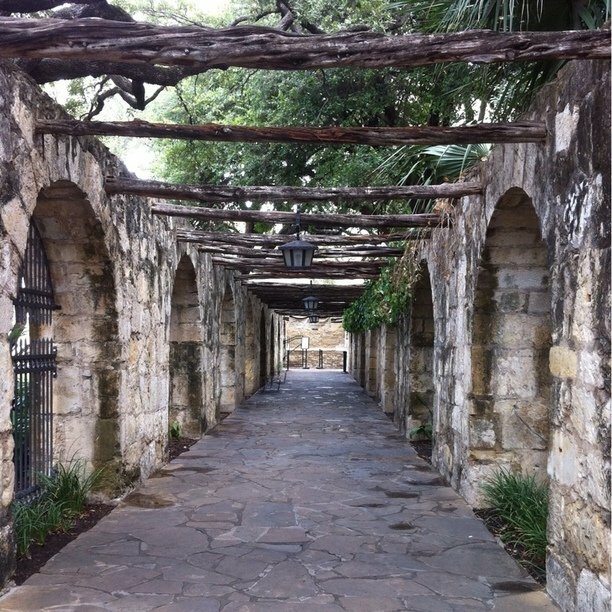 The Alamo is an 18th century Roman Catholic mission and fortress compound and one of the World Heritage sites. Another must-see is the San Antonio Missions National History Park which is another UNESCO World Heritage Site and has plenty of local history. Take in a play or a show at the Majestic Theater, in the center of town, a great place to go following an early evening meal for high quality entertainment. Visit the cathedral which is also in the center, a stunning piece of architecture. The magnificent cathedral was founded in 1731 by a group of families who came over from the Canary Islands to spread Catholicism. The best places to shop in San Antonio are downtown at the Rivercenter Mall or on the North side, head to the boutiques and stores at La Cantera which features many well-known designer names and American department stores. For authentic San Antonio goods, visit The Pearl Brewery for local shopping and the best place to grab a delicious-tasting coffee. Of course, without doubt, the best way to enjoy San Antonio is a view from above on one of the premier charter flights from Bolt Jets. It’s certainly impossible to go hungry in San Antonio, home to a treasure trove of delicious restaurants for every palate. For modern-style dining go to The Granary ‘Cue and Brew which is situated in an old warehouse featuring exposed brickwork. Try their slow-smoked beef brisket or home-cured pastrami. Make sure to choose your accompaniments well because no-one should miss out on their fried green tomatoes. San Antonio is home to the Tex-Mex and Mi Tierra Café y Panadería is an incredible restaurant featuring a ceiling decorated with piñatas and tinsel. Open 24 hours a day, sample Cabrito (roasted goat kid with chili gravy), refried beans and the Tex Mex combo. It’s busy because it’s good, so go early to ensure no disappointment. Experience the best-tasting pizza in San Antonio at Dough Pizza Napoletana which is 15 minutes from downtown and features the crispiest dough made from deep pizza-ovens and fresh vegetables and meats. It’s definitely worth the trek but it’s best reserved for lunch. Another great restaurant in San Antonio is The Esquire Tavern which is a trendy eatery serving a variety of whiskies and plenty of delicious, intoxicating cocktails. With a 100 foot wooden bar, it’s often busy and has a fun vibe. Enjoy American recipes including fried fish, devilled eggs and their signature dish, fried apple pie. Sometimes trips are just too short and when there’s simply not enough time to sample what San Antonio has to offer, the Bolt Jets concierge team can organize a delicious meal on-board, so no-one misses out. Speak to our dedicated concierges team to arrange for dinning options from your choice of any San Antonio restaurant during your charter flight out of San Antonio. Bolt Jets consistently delivers high calibre private charter flights and helicopter hires to and from San Antonio from anywhere in the world. With a reliable, helpful and informative concierge team, nothing is too much trouble. The team is available to all our clients every day, all year round to organize anything and we pride ourselves on always being ahead of the competition. Planning a corporate trip to San Antonio? Bolt Jets is the elite private aviation company in the USA so for any corporate business trip to or from San Antonio, it makes sense to use the best. Rely on our concierge team to help tailor the finer points, such as the best hotels to stay at or organising onward-bound journeys and private transfers. They are always available to advise which sets us apart from the rest. There are different airport options when chartering private jets to San Antonio.